Hello, dear readers. I'm back with another jewelry box review! Now that I've been getting these boxes for a while, the kids know that Cool Things Arrive in Small Boxes. A few pairs of earrings have already been confiscated by my 7 year old daughter. 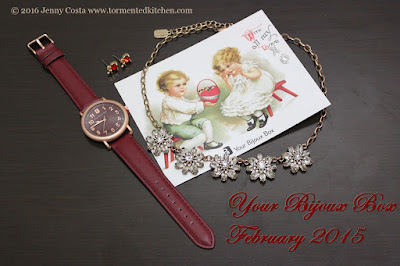 For February and the theme of Valentine's Day, Your Bijoux Box had this really cute vintage-styled card and four items instead of the usual three. 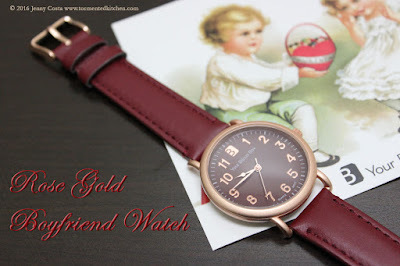 First, they offered a sneak peek of the Rose Gold Boyfriend Watch. It has The "B" logo at the twelve. It's actually very cute. The original sneak peek pictures did not do it justice. 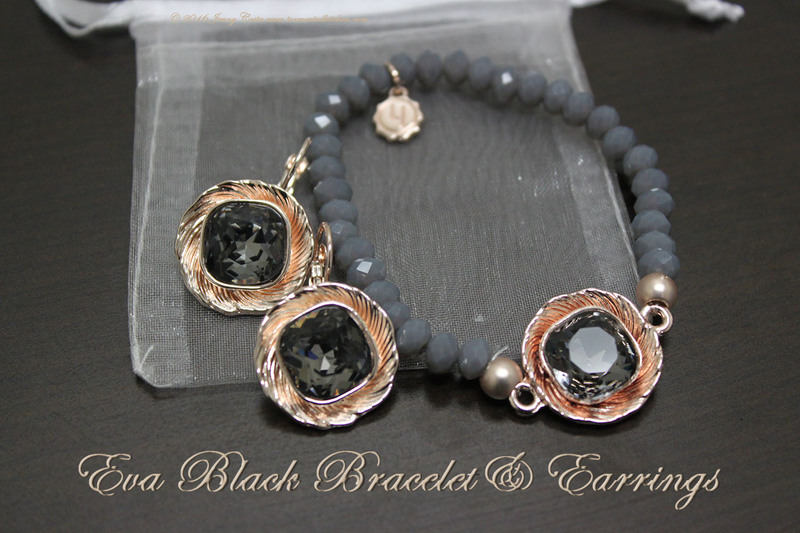 The second piece was a hit with me right out of the box. 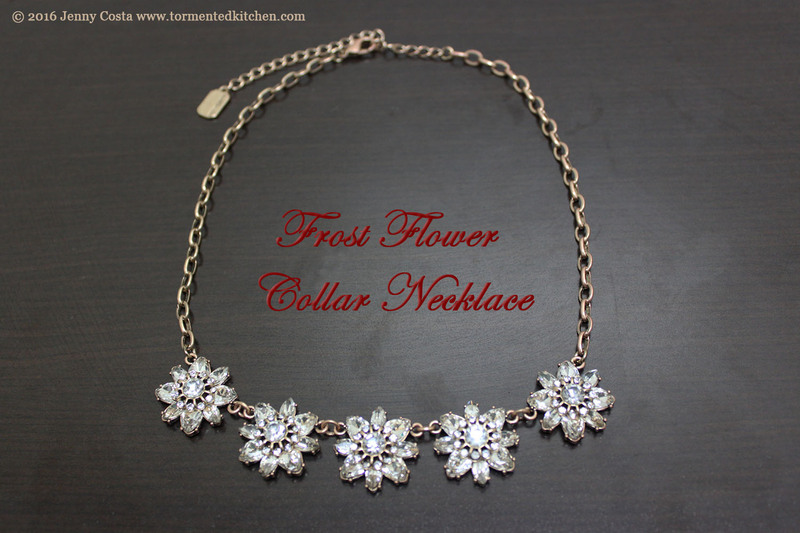 The Frost Flower Collar Necklace was exactly my style. 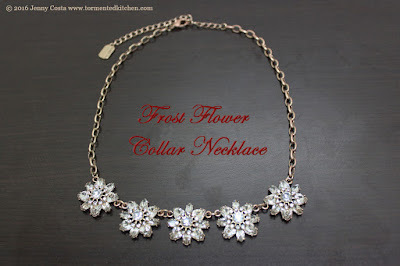 I love the crystal flowers! 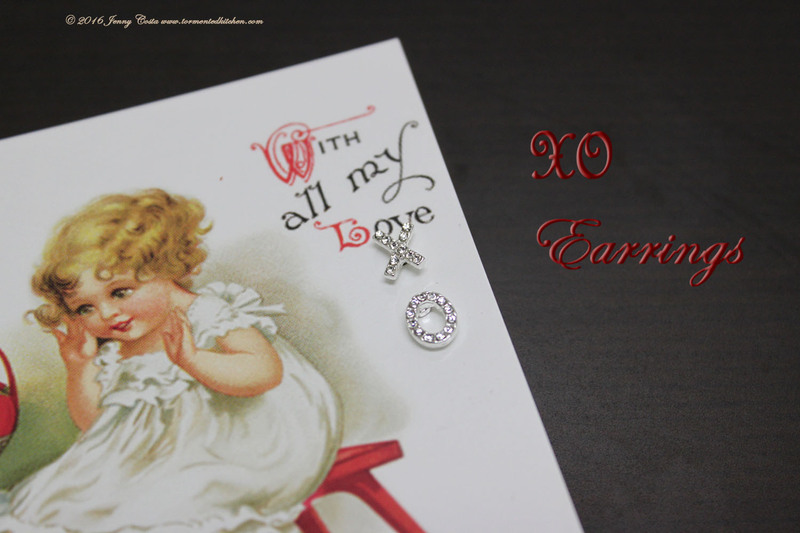 Attached to the card were these adorable XO earrings. Too cute! 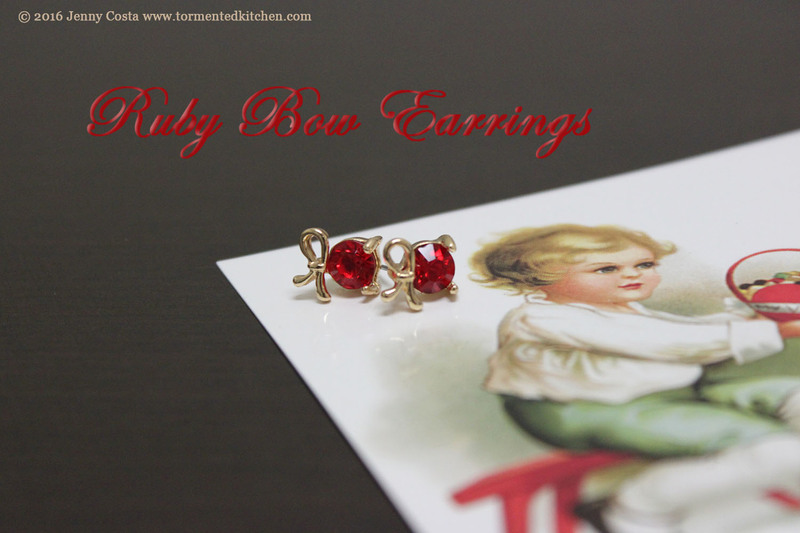 The last thing from the February box was a pair of Ruby Bow earrings. The ruby crystals are really vibrant. Finally, I couldn't resist the add-on sale again. I snapped up these matchy-matchy Eva Black earrings and stretch bracelet. I had to wrestle the bracelet away from my daughter. So, there you go, another month of great jewelry! Thanks for stopping by!